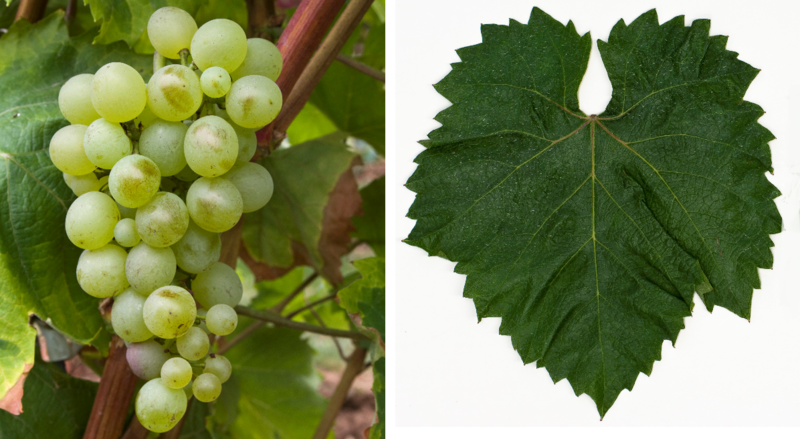 The white grape variety comes from Romania. The Romanian name means "Fats of Cotnari" and the Hungarian name Kövérszölö means "fat grape", which indicates the large berries. Synonyms grouped alphabetically by country are Dicktraube, Resertraube, Sicktraube ( Austria ); El Grasz, Grass, Grasz, Grasă, Grasă de Cotnar, Grasă Mare, Grasă Mică, Grasi, Grassa, Grassa Mare, Grassa Mica, Poamă Grasă, Som ( Romania ); Bajor, Fehér Kövérszölö, Fehérszölö, Fejérszölö, Kövérszölö, Pataki ( Hungary ). The vine is very vulnerable to Botrytis and therefore predestined for noble sweet Wines. She is also vulnerable to wrongdoing mildew but quite resistant to frost and drought, It produces greenish yellow to golden yellow wines with nut flavor, high alcohol content and low acidity. In Romania, it is grown mainly in the Moldava region and in the Subcarpathian. It becomes the famous sweet wine Cotnari vinified. Above all, it is blended with the variety Tamâioasa Romaneasca ( Muscat Blanc ) used. The Romanian vineyard is 640 hectares. In Hungary It is one of the official varieties for the production of Aszu on 45 hectares Tokay, In 2010, a total of 685 hectares of vineyards were designated (Kym Anderson ). This page was last modified at 5 January 2018 at 05:08.